This paper back book gives basic shaping processes for a young emerging leader. Character shaping and early ministry experiences are crucial to a good start. 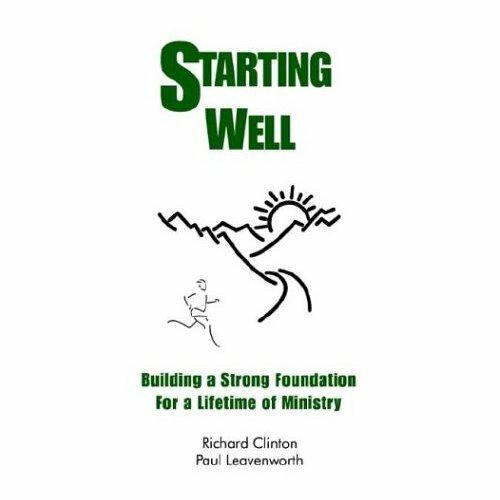 A good start, that is, building the foundations of ministry moves a leader on to understand the basic concept, that ministry flows out of being. Such a paradigm shift, moving to ministry flowing out of being, is a major step on continuing well and eventually finishing well. This booklet is used in foundational courses for emerging leaders. This book has sold more than any others listed in my catalog. Both these authors are well acquainted with leadership emergence theory and apply it well to emerging leaders.